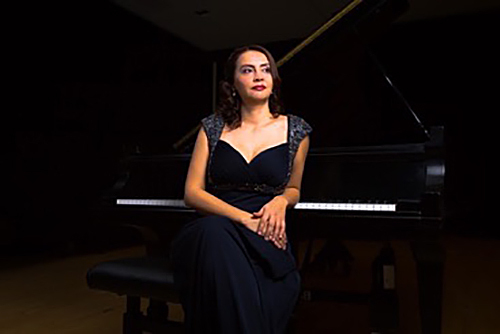 Aida Olarte, a native of Colombia, recently earned her Master of Music degree in Piano Performance from Duquesne University in the piano class of Natasha Snitkovsky, as well as a Bachelor of Music in Piano Performance from Duquesne University, where she is now a part of the piano faculty at the City Music Center. She received a full fellowship award to pursue an Advanced Music Studies Certificate for the Collaborative Piano Program at Carnegie Mellon University beginning in August. Additionally, she was selected to be one of the Resident Artist Pianist, for the Opera Theater of Pittsburgh Summer festival. In 2013, she was a finalist in the 2014 Women's Advisory Board Competition.